The ten finalists in the New Breed Full Length Feature Category are: Amok by Lawrence Fajardo;Ang Babae sa Septic Tank by Chris Martinez; Ang Sayaw ng Dalawang Kaliwang Paa by Alemberg Ang and Alvin Yapan; Baby Factory by Edwardo W. Roy, Jr. and Jerome Zamora; Cuchera by Joseph Israel M. Laban and Janice O'Hara; E-libings: "Your Loss, Our Luck" by Rommel Andreo Sales; Ligo na U, Lapit Na Me by Noel Ferrer, Jerry Gracio and Erick Salud; Niño by Loy Arcenas;Teoriya by Alistaire Christian E. Chan; and The Dog Show by Ralston G. Jover. 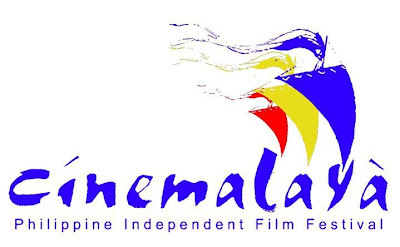 Cinemalaya 2011 will be held on July 15-24, 2011 at the Cultural Center of the Philippines. It is a project of the of the Cinemalaya Foundation, Inc., in partnership with the Cultural Center of the Philippines (CCP), the Film Development Council of the Philippines (FDCP), and the Econolink Investments, Inc. (EEI). Cinemalaya also features the Short Feature competition category as well as film exhibitions, seminars, conference, the Cinemalaya Film Congress, and other film-related events. For more information and application forms, please visit the Cinemalaya website at www.cinemalaya.org. or the CCP Facebook page.